Please follow this link to our agency terms of business if you have made a booking for tickets for entrance to PortAventura, Disneyland Resort Paris, Thorpe Park Resort, Chessington World of Adventures, LEGOLAND® Windsor Resort, Alton Towers Theme Park, The Coca-Cola London Eye, SEA Life Aquarium London, The London Dungeon, Shrek's Adventure London and Madame Tussauds London. In respect of all other bookings, we act as a ticket broker. That means our obligations to you in relation to bookings we make for tickets to enable entrance/access to particular attractions or theme parks (other than those which are expressly set out in these conditions) are to provide you with a ticket to enable entry/access to the arrangement(s) in question. Your contract for the supply of theme park services is with the supplier and its terms and conditions apply to that contract. Copies of these are available on request. In relation to all other (non-ticketed) bookings you will have a contract with us for the supply of the service in question. See the ‘Liability’ section below for further detail. 3. He/she is over 18 years of age and where placing an order for services with age restrictions declares that he/she and all members of the party are of the appropriate age to purchase those services. We have no control over the arrangements that we feature on our websites. All details and descriptions in relation thereto are for guidance only. The images used on our website to illustrate the experiences, particularly those that take place at more than one location, are used as an indication only. Please be aware that the vehicles, craft, machines, animals and settings at each venue may vary. We endeavour to ensure that all the information and prices on our website are accurate, however occasionally changes and errors occur and we reserve the right to correct prices and other details in such circumstances. You must check the current price and all other details relating to the arrangements that you wish to book before your booking is confirmed. All prices are quoted in £'s sterling. The prices quoted, shown on our website, and in supplementary promotional material, apply at the time of publication, however, they are subject to change without notice. The price of your arrangements will be confirmed on booking. Once you have paid for your arrangements in full or paid a non-refundable deposit on a booking, the price of your arrangements is confirmed and will not increase. 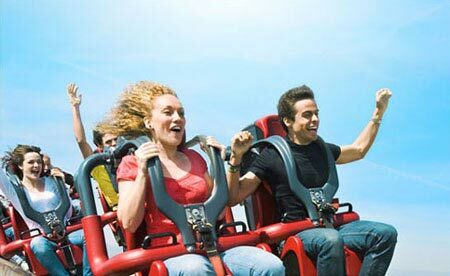 We believe that the prices of attraction tickets on our website represent excellent value. Consequently, if you book and pay in full via Attraction Tickets Direct and subsequently find the same attraction tickets cheaper elsewhere with a fellow ABTA member, we will pay you the difference in price. Likewise, if you are yet to book and find the exact same tickets cheaper on another ABTA member site, we will match the price! If you find the same ticket cheaper after confirming your booking with us, we will refund the difference to you. Our validation (at our absolute discretion) that the cheaper price published elsewhere on another ABTA member site, is in respect of arrangements that are exactly the same, on the same departure dates, departure points and for the same duration and be fulfilled in the same manner (eg voucher/hard copy tickets) as your confirmed booking with us. The ticket price being based on a single ticket (this price guarantee excludes group discounts). Our reserved right to withdraw any added value (eg payment on deposit or free gift) that we would normally send with the tickets. Special discount offers, or promotional ticket prices are excluded from this guarantee. Tickets must be new and in stock for purchase on that same day and the price we match must be bookable on that day. The cheaper price must be inclusive of all additional charges, fees and delivery costs. The cheaper price must be in pounds sterling and be available to book at the time you notify us of it. For any price matched ticket, we will supply the equivalent STANDARD ticket (not FLEX or FLEX-PLUS) where applicable . When booking online, full payment or a non-refundable deposit is required at the time of booking and will be taken when you click the ‘authorise’ button. Upon receipt of full payment or a non-refundable deposit, we will issue a confirmation of booking via email. For Orlando customers travelling 42 days or more before the date the arrangements are due to commence, an optional non-refundable deposit can be paid at the time of booking. Once you pay your deposit the price of the tickets is locked and will remain unchanged if the prices on our website increase or decrease. Where you have paid a non-refundable deposit, the balance of the cost of your arrangements is due not less than 42 days prior to scheduled departure. It is your responsibility to ensure the balance is paid in full and on time. If we do not receive this balance in full and on time, we reserve the right to treat your booking as cancelled by you. If you are booking within 42 days of departure, full payment is due at time of booking. There is no charge when paying by Visa, AMEX (phone bookings only), Mastercard or debit cards. Regrettably we cannot process Diners Cards. Subject to availability, a contract as follows will exist as soon as we issue you with your confirmation email. A contract will exist between you and us for the supply of tickets or vouchers to enable entrance/access to particular attractions or theme parks or for the supply of experience, excursion or transfer arrangements as applicable in other cases. It is your responsibility to check your confirmation email, and to urgently advise us if there are any errors or omissions. Your rights may be affected in relation to any matter arising as a result of such error or omission if you fail to do so.Alteration or cancellation of the booking by you once a confirmation of booking has been issued will be subject to the charges outlined in the ‘if you cancel your booking’ section below. Please note that Customers outside of the UK may be asked for additional proof of address before tickets can be sent. It is a condition of our agreement that you are covered by adequate travel insurance for your arrangements. Such insurance as a minimum must cover your losses sustained as a result of cancellation, medical issues, and repatriation in the event of accident or illness. If you choose to travel without adequate insurance cover, we will not be liable for any of your losses howsoever arising, in respect of which insurance cover would otherwise have been available. Following receipt of your full payment, and the issue of our confirmation, you will usually receive your tickets within 7 days. However, we reserve the right to despatch tickets up to 14 days prior to the date that your arrangements are due to take place. In these circumstances, we will keep you updated as to when you might receive them. Overseas bookings (non-UK and Ireland) are subject to a standard shipping charge of £25. Upon full payment, you will be notified of your tickets being despatched and you can expect them to arrive in 5-7 days. We send real tickets for theme park bookings unless otherwise stated on the relevant product page. They have a high monetary value. You should treat them as you would your cash or passports and keep them safe at all times. Please note that where we have arranged for you to collect your tickets at the gate of the attraction, the named lead passenger will be asked to provide photo ID to take receipt of your tickets. It is your responsibility to provide a correct and suitable delivery address. We will not re-issue or replace tickets sent to an incorrect address supplied by you. After your tickets have been delivered to you, they are your responsibility and we will not issue replacements should they be lost, damaged or stolen unless those tickets are bought as FLEX of FLEX-PLUS options as detailed below. 1. The conditions and benefits of a FLEX or FLEX-PLUS ticket apply only to the specific tickets purchased at that protection level. Buying a FLEX or FLEX-PLUS ticket does not protect your entire booking with those same conditions. Any tickets on the same booking booked as a STANDARD ticket or where we do not offer the protection levels are subject to our general Terms and Conditions found here within. 2. Once FLEX-PLUS tickets are ordered those tickets cannot be downgraded to FLEX or STANDARD options at any time. 3. Equally, a STANDARD or FLEX ticket cannot be upgraded to FLEX PLUS at any time after a booking is confirmed. 4. Bookings can be changed from STANDARD to FLEX or vice versa (limited to one change) at any time up to the booking being fully paid, at which point all tickets are locked and bound to the relevant terms. 5. If you cancel a FLEX-PLUS ticket you will avoid time-based cancellation fees (see below for details). The refund paid on your ticket(s) will be the cost of the equivalent STANDARD ticket (your ticket cost minus any protection excess) at the time of booking. Our usual cancelation fees apply as normal for STANDARD and FLEX tickets. 6. If you have FLEX or FLEX-PLUS tickets and you wish to delay travel by a year, there will be no admin fee for this change but any difference in ticket costs will be charged. These will be ticketed at the same protection level as booked originally – be it FLEX or FLEX-PLUS. Delayed travel to STANDARD tickets will incur a £25 admin fee. 1. To be posted to you within 3 days if this occurs in the UK. 2. To be picked up at guest services at the relevant attraction in the USA If this occurs while on holiday. These can be collected by the named lead passenger who will need Photo ID for collection. We will also provide you with a document with an emergency helpline number. If you need to make a change to or cancel your confirmed booking, and the terms of the tickets you have booked allow, you should contact us in writing via email to customerservices@attraction-tickets-direct.co.uk. Any cancellation or amendment request will take effect on the day we receive it. Proof of posting is not proof of receipt. If you need to make a change to theme park tickets once you have received them (for example upgrading the number of days on your Disney tickets from 7 to 14), then you should contact us by telephone as soon as possible. You should also confirm your request by giving us notice in writing via email to customerservices@attraction-tickets-direct.co.uk. All changes to STANDARD tickets, or ticket we do not offer protection on are subject to an administrative charge of £25 PLUS, in the case of changes to attraction tickets, the difference between the selling price of the two tickets in question. You should be aware that these costs could increase the closer to the date that arrangements are to take place so you should contact us as soon as possible. Tickets bought as Flex or Flex-Plus will be refunded at the cost of a STANDARD ticket at the time of booking. † An excess fee of the difference in price between Flex-Plus and the equivalent Standard ticket (per ticket, at the time of booking) will be retained at the time of cancellation. Whether you've booked a specific date and time through us, or you've chosen to leave the experience open dated (where applicable), it's essential for you to re-confirm your booking in advance. This enables our suppliers to inform participants of any details that they may need on the day; for example to let you know exactly you will be met. Please note that all contact numbers will be supplied following confirmation. As your contract for the supply of theme park or attraction services is with the supplier, we will have no liability in relation to any changes to or cancellations to these services other than to inform you as soon as reasonably possible of any changes or cancellations that may affect you that are notified to us by the theme park or attraction in question. We will also liaise between you and the park in relation to any alternative arrangements they may offer. If we have to make a material change to, or cancel your theme park or other attraction ticket, (for example where we have to cancel it because you have made a booking via an old/ cached page of our website) we will tell you as soon as possible. If there is time to do so before the date on which the ticket is due to be redeemed, we will replace it with a ticket to the same value as your original booking or if there isn’t sufficient time to do so, give you a full refund. If we have to make a major change or cancel your arrangements, we will tell you as soon as possible and if there is time to do so before the arrangements are due to start, we will offer you the choice of i) (for major changes) accepting the changed arrangements ii) having a refund of all monies paid in respect of the changed or cancelled element or iii) accepting an offer of alternative arrangements of a standard comparable to the arrangements affected from us, if available. You must notify us of your choice within 7 days of our offer. If you fail to do so we will assume that you have chosen to accept the change or alternative arrangements. The above sets out the maximum extent of our liability for changes and cancellations and we regret we cannot meet any expenses or losses you may incur as a result of any change or cancellation. The above options will not be available if we make a minor change or cancel as a result of your failure to make full payment on time or where the change(s) or cancellation by us arises out of alterations to the confirmed booking requested by you. Very rarely, after your arrangements have commenced, we or your supplier(s) may be forced by Force Majeure to change or cancel part or all of your arrangements. If this does happen then we regret that neither we nor your supplier(s) we will be able to provide any refunds, pay you any compensation or meet any losses or expenses you incur as a result. We will try to assist you to secure alternative arrangements but you will have to pay any associated and/or additional costs in doing so or arising out of any alternative arrangements. Except where otherwise expressly stated in these booking conditions we will not be liable or pay you compensation if our contractual obligations to you are affected by any event which we or the supplier(s) of the service(s) in question could not, even with all due care, foresee or avoid. These events can include, but are not limited to war, threat of war, civil strife terrorist activity and its consequences or the threat of such activity, riot, the act of any government or other national or local authority including industrial dispute, natural or nuclear disaster, fire, chemical or biological disaster and adverse weather conditions and all similar events outside our or the supplier(s) concerned’s control. Advice from the Foreign Office to avoid or leave a particular country may constitute Force Majeure. Our only obligations to you in relation to bookings we make for tickets or vouchers to enable entrance/access to particular attractions or theme parks (other than those which are expressly set out in these conditions) are to provide you with a ticket or voucher to enable entry/access to the arrangement(s) in question. Your contract for the supply of theme park services is with the supplier and its terms and conditions apply to that contract. Copies of these are available on request. As a ticket supplier, we are responsible for taking your booking in accordance with your instructions and issuing you with a ticket but (other than that which is expressly set out in these conditions) we accept no responsibility for the actual provision of the theme park or attraction arrangements. i. for services or facilities which do not form part of our agreement or where they are not advertised by us. For example any excursion you book while away, or any service or facility which your hotel or any other supplier agrees to provide for you. ii. for any damage, loss or expense or other sum(s) of any description which on the basis of the information given to us by you concerning your arrangements prior to them being confirmed, we could not have foreseen you would suffer or incur if we breached our contract with you; or that relate to any business. i. whether or not you have followed the complaints procedure as described in these conditions. It is a condition of our acceptance of liability under this clause that you notify any claim to ourselves and our supplier(s) strictly in accordance with the complaints procedure set out in these conditions. ii. the extent to which ours or our employees’ or suppliers’ negligence affected the overall enjoyment of your arrangements. iii. when making any payment, we are entitled to deduct any money which you have received or are entitled to receive from any transport provider or hotelier for the complaint or claim in question. i. Luggage or personal possessions and money The maximum amount we will have to pay you in respect of any claim for loss of and/or damage to any luggage or personal possessions or money is an amount equivalent to the excess on your insurance policy which applies to this type of loss per person in total because you are assumed to have adequate insurance in place to cover any losses of this kind. The maximum amount we will have to pay you in respect of any claim for loss of and/or damage to any luggage or personal possessions or money is an amount equivalent to the excess on your insurance policy which applies to this type of loss per person in total because you are assumed to have adequate insurance in place to cover any losses of any kind. ii. Claims not falling under (i) above and which don’t involve injury, illness or death The maximum amount we will have to pay you in respect of all claims not falling under (i) above and which don’t involve injury, illness or death these claims is twice the price paid by or on behalf of the person(s) affected in total. This maximum amount we will have to pay you in respect of all claims not falling under (i) above and which don't involve injury, illness or death these claims is twice the price paid by on behalf of the person(s) affected in total. This maximum amount will only be payable where everything has gone wrong and you or your party has not received any benefit at all from your arrangements. If in our opinion or in the opinion of any person in authority, your behaviour is causing or is likely to cause distress, danger, damage or annoyance to any third party or property, or to cause a delay or diversion to transportation, we or the supplier reserve the right to terminate your arrangements immediately. In the event of such termination our responsibilities to you will cease and you will be required to leave the applicable service immediately. We will have no further obligations to you and will not meet any expenses, costs or losses incurred as a result. You may also be required to pay for loss and/or damage caused by your actions directly to the applicable supplier prior to departure from the service. If you fail to do so, you will be responsible for meeting any claims and costs subsequently made against us as a result. 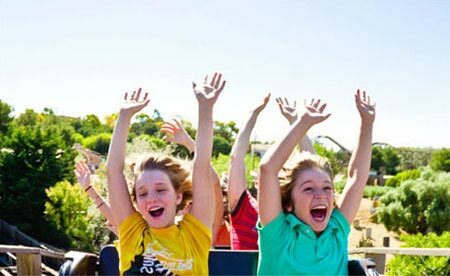 Because the contract for the supply of services provided under tickets or vouchers to enable entrance/access to particular attractions or theme parks is between you and the supplier, any queries or concerns about those services should be addressed to them. If you have a problem whilst away, this must be reported to the supplier or their agent immediately. If you wish to complain when you return home, write to the supplier. You will see their name and contact details in any confirmation documents we send you. Any complaints or problems relating to the booking and supply of your ticket must be reported to us in writing immediately. Please inform the relevant supplier of any complaints or problems immediately. If your complaint is not resolved locally, please follow this up within 28 days of your return home by writing to us giving your booking reference and all other relevant information. Please address all emails to customerservices@attraction-tickets-direct.co.uk. We will acknowledge all complaints within 3 working days. Sometimes we need to investigate issues raised with 3rd party suppliers which may take time to do so. We do however aim to respond in full within 14 days. If for any reason we are unable to respond within that time, we will endeavour to notify you as soon as possible. If you fail to follow these procedures there will be less opportunity for us and/ or the supplier to investigate and rectify your complaint. The amount of compensation you may be entitled to may therefore be reduced or extinguished as a result. ABTA: We are a Member of ABTA (membership numbers Y6452 and P7161). We are obliged to maintain a high standard of service to you by ABTA’s Code of Conduct. We can also offer you ABTA’s scheme for the resolution of disputes which is approved by the Chartered Trading Standards Institute. If we can’t resolve your complaint, go to www.abta.com to use ABTA’s simple procedure. Further information on the Code and ABTA’s assistance in resolving disputes can be found on www.abta.com. You can also access the European Commission Online Dispute (ODR) Resolution platform at http://ec.europa.eu/consumers/odr/. This ODR platform is a means of registering your complaint with us; it will not determine how your complaint should be resolved. We must be advised at time of booking of any disability and special requirements so that we may notify the supplier concerned. Special facilities can be requested but may not be guaranteed. Acting reasonably, if suppliers are unable to properly accommodate the needs of the person(s) concerned, we may refuse to confirm your booking or if you did not give us full details at the time of booking, cancel it and impose applicable cancellation charges when we or they become aware of these details. If you have any special request, you must advise us in writing at the time of booking. Although we will endeavour to pass any reasonable requests on to the relevant supplier, we regret we cannot guarantee any request will be met unless any supplier has specifically confirmed this. For your own protection, you should obtain confirmation in writing from us that your request will be complied with (where it is possible for us to give this) if your request is important to you. Confirmation that a special request has been noted or passed on to the supplier or the inclusion of the special request on your confirmation letter or any other documentation is not confirmation that the request will be met. Unless and until specifically confirmed, all special requests are subject to availability. Please note offers are subject to availability and may be withdrawn by us or the supplier as applicable without notice. The services which make up your booking are provided by independent suppliers. Those suppliers provide these services in accordance with their own terms and conditions which will form part of your contract with us. Some of these terms and conditions may limit or exclude the supplier's liability to you, usually in accordance with applicable International Conventions. Copies of the relevant parts of these terms and conditions are available on request from ourselves or the supplier concerned. These terms of business are governed by English law and the courts of England and Wales have jurisdiction (unless you live in Scotland or Northern Ireland, in which case you can bring proceedings in your local court under Scots or Northern Irish law, as applicable.